Doodle Bag’s parent company BIDBI, manufacture and print cotton bags and homewares for businesses large and small all over the world. With a large choice of print options, colours, effects and unparalleled customer service; if you require over 200 units, we recommend giving BIDBI a call. 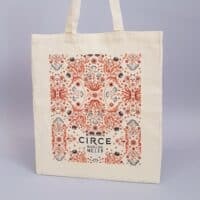 BIDBI shares the same product range as Doodle Bag, including cotton tote bags, heavyweight canvas bags and drawstring bags. All of BIDBI’s products are made in Fair Trade registered factories, this ensures safe working conditions and a fair wage to those who are producing the bags. In addition to their standard range, BIDBI is licensed to produce Fairtrade certified cotton products. 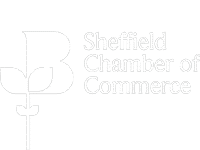 From the office to the Sheffield based factory, BIDBI looks at ways to reduce its environmental impact constantly. Specialising in environmentally friendly production methods such as using ISO 14001 inks and having dedicated recycling bins are simple ways in which BIDBI put their eco policy into action. BIDBI only works with factories who follow a stringent set of international standards. 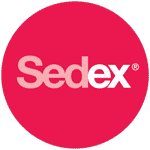 All the factories need to be Fair Trade Registered, SEDEX accredited, REACH compliant and GOTS. BIDBI visits its partner factories regularly ensuring they remain compliant giving you the peace of mind your bags have been sourced from a responsible supply chain. All of BIDBI’s bags are printed in the UK from their eco print factory based in Sheffield, South Yorkshire. 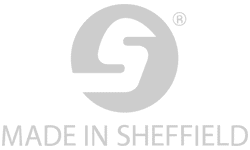 BIDBI has been awarded the Made in Sheffield Marque, given to companies which show the origin and quality of the City’s manufactured products. All of BIDBI’s bags are made with 100% natural cotton. This means there are no synthetic fibres which are added, it’s softer, and it can be recycled with more ease and more cost effectively because cotton is only material. You can rest easy that any enquiry will be dealt with in a timely, friendly manner. BIDBI’s dedicated account managers know the products inside and out and will be there to answer any questions you have.